It’s time for the final Admin Choice Awards for Outlander Season 4. What? No awards for Episode 413? Nope. We’re skipping the awards for the finale besides I think we will all be too depressed to even think about it. Not to mention, I have a date with a certain mouse down in Florida so I’ll be taking a couple of weeks off to try to forget all my sorrows as we head into that unspeakable thing called Droughtlander. And speaking of that horrid word, how in the world did we get here? How can 13 weeks go by so quickly? How are we to endure the rest of 2019 and probably part of 2020 without our favorite show? 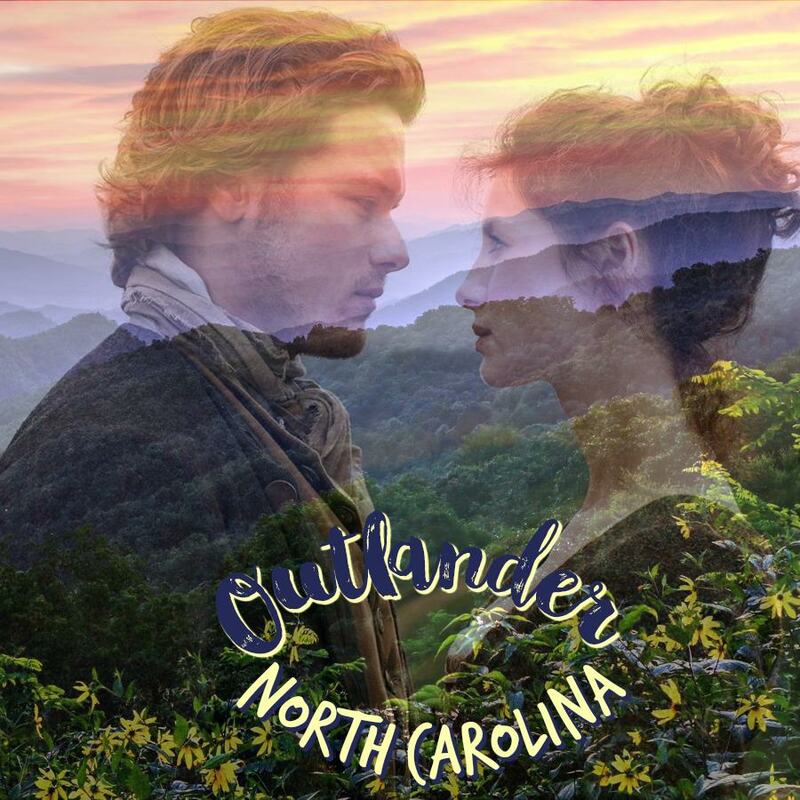 Well, we here at Outlander North Carolina have some ideas and we will be trying to fill the gap for not only ourselves but for you as well with some things we think you’ll appreciate. Special projects and posts are on the way so don’t despair, my Outlander friends! We will muddle through together! Susan: This may sound morbid, but watching a man be tortured and die for his beliefs made my heart swell. The priest’s death didn’t speak to me as much in the books, for some reason. Nancy: My choice may surprise you, but I was happy to see a little bitter, sarcastic humor show up in the script as Roger referred to himself as an idiot for making poor choices because of his love for Bree. I loved that he referred to his place of captivity as “the idiot’s hut”. I think that should really have been the title of the episode. Mitzie: Seeing Roger make the decision to abandon his escape and return back to the Mohawk village to help the priest die a quicker death, thus ending his suffering. The musical overlay to the most stunning sequence of visual events that transpired during that whole scene was just amazing. Bravo! Harmony: This is going to be a tough one for me, because I truly loved the entire episode. If I had to choose though, I think I’d go with the scene with LJG & Bree discussing her wanting to speak to Bonnet. Everything about that scene was wonderful, the acting, chemistry between the two, the way LJG was there for her, and the icing on the cake was Jamie narrating his letter to Bree. Susan: Roger: “Ah, f*@#in’’ hell.” Everyone has said something similar when they realize they’re about to do something that doesn’t make good sense. Harmony: Bree to LJG, “you are impossible not to like”. That was such a cute moment & Oh so true! Susan: Richard Rankin was absolutely wonderful in this episode. Nancy: Richard Rankin. This was his episode. Mitzie: This years Golden Globe for Best Supporting Actor is…… This years Emmy for Best Supporting Actor is…… This years Screen Actors Guild for Best Supporting Actor is…… RICHARD RANKIN!!!!!! Seriously, he better be on one of these lists for that performance. Harmony: I have to give it to the actress who played the Mohawk woman, the love interest of the priest & the mother to his child. She was absolutely phenomenal throughout every scene she was in! Susan: The grief of the Mohawk man-I didn’t realize his feelings were so invested in Johiehon until I saw his face as she climbed onto the pyre. Nancy: The Mohawk woman stepping into the fire. This was not in the book. Mitzie: Seeing the mohawk woman (Johiehon) step onto the pyre to die with her love. That was so heartbreaking to witness. And to see Kaheroton’s grief upon witnessing her decision and he’s left holding the only thing left of her, her child, that just had me bawling. Harmony: Was watching the Mohawk woman walk into the flames with the priest. Such an emotional moment. Susan: The realization that every major scene came about because someone was doing something that seemed unreasonable because of their own personal convictions. Nancy: Roger’s performance. He was really outstanding. Mitzie: All the conversations Roger had with the priest. Roger’s emotions were so gripping, I was completely sucked into his despair. And bless him, he tried his damndest to convince the priest his convictions were not worth dying over but alas the priest would not relent and Roger could not abandon him to save himself. Roger is such a good guy! Harmony: All the moments with LJG and Bree together. Those two just completely shine when in a scene together! Susan: Knowing that Lord John had knowledge of the jailbreak and he let it go. He could get into as much trouble as everyone else. Nancy: The portrayal of the priest and Mohawk woman’s demise was a little over the top for me. Mitzie: Nothing really bugged me in this episode except the fact that no one noticed the keys on the floor. Really? No one noticed? I did find myself yelling at the screen “Ya’ll, get the keys”! But I guess it was needed to extend our beliefs that we will be seeing more of Bonnet in the future. Harmony: I can honestly say that there wasn’t one thing that I disliked about this episode. Shocking, I know lol. Susan: This episode knocks 403 off the number one spot on my list. Nancy: Will wait until next week to rate the episode. Harmony: This one took the cake for me. By a hair it slid into my #1 spot, followed closely by the episode of Sam & Bree’s meeting. A BIG thanks to all the administrators who took the time out of their busy schedules to contribute their votes each week during this season and thank YOU for taking the time to read our Admin Choice Awards! We’ve had fun doing them and then comparing each other’s opinions once they got posted. But now, we want to hear from you? What did you think of Episode 412, Providence? What were your favorites? What didn’t you like? P.S. I’ll be back in a couple of weeks after some emotional therapy with “the mouse”. In the meantime, keep a chin up and hang on tight, Sassenachs! We can do this!!! Do you really think we’ll have to wait until 2020 to see Season 5 ???? I was figuring 1 / year, around Nov or Dec …. as it has been for the last couple of seasons, if I remember correctly. Too lazy to pull out my past years’ agendas to check my notations. @ Nancy in relation to the Most Surprising Moment. Are you sure? It seems I remember reading that passage because I was so shocked that she’d do that. I’ll have to go check the book tonight . Nancy, I just found the part in the book that talks of the Indian woman going into the fire: I have the Dell reissue September 2002, blue cover book with a sort of rectangle Tree of Life illustration. So on Page 962, 4th Paragraph down, Jamie’s describing what happened and why Claire may be blamed for something because the Woman handed the baby over to Claire and ‘She didna look to left or right, but walked straight into the fire’ ….